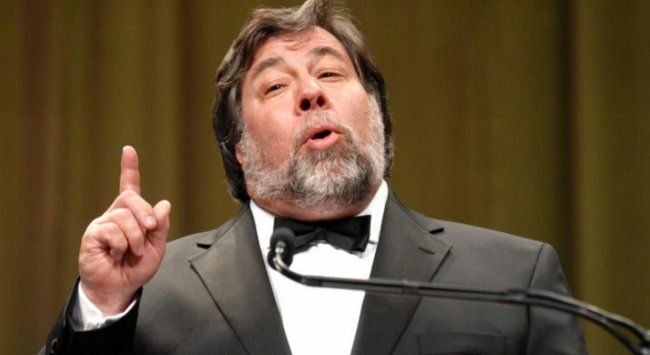 Apple co-founder and tech investor Steve Wozniak has recently visited Kyiv, according to TSN. "It's a special visit for us," said Wozniak whose ancestors were Ukrainians from Przemysl, TSN reported. He arrived in Kyiv with his wife on September 29 and went to the town of Hostomel outside Kyiv to visit the world's largest An-225 Mriya aircraft. Read alsoApple Maps app now shows traffic jams on Ukraine’s roads - Kyiv PostHe also met with Ukrainian students, conducted a business workshop followed by a private party whose admission fee was UAH 200,000, or about US$7,520. In his word, he always knew that he has a Ukrainian surname. He said he always wanted to come to Ukraine, in particular to Kyiv. "In my life, I've planned to do four things, one of them is to visit Kyiv," he said.